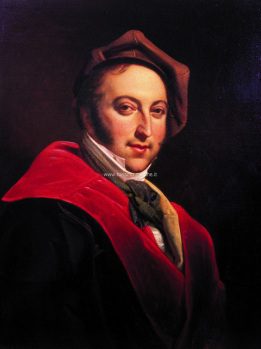 In 1858, Rossini held the first of his famous Saturday Music Soirées. Over the next ten years artists, politicians, diplomats, and the pick of Parisian society attended the Rossini's Salon to mingle with and hear a galaxy of musical talent. Famous composers such as Gounod, Liszt, Meyerbeer, Saint-Saens and Verdi often attended and performed at these programs. This performance will bring you a re-creation of Rossini's Soirées Musicales. This performance will celebrate American music for trumpet, flute, and piano, featuring works that will be recorded on Mary Elizabeth Bowden's Debut CD Recording, "Radiance." Recording will take place in June 2014 and will include James Stephenson's Croatian Trio for trumpet, flute, and piano, Catherine McMichael's Sonata for trumpet and piano, a commission by Joseph Hallman, David Ludwig's "Radiance," Samuel Barber's op. 10, and Joseph Turrin's Escapade. 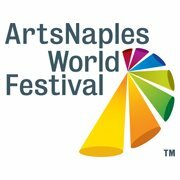 ArtsNaples World Festival opening “Two O’clock Concert” presents the magnificent grandeur of the FAZIOLI concert grand piano. William Noll, Richard Bosworth, Alexandra Carlson and Charis Dimaras will all join together for an exposition of brilliant Italian and Italian-influenced compositions. EUROPIANOS Naples is the proud new dealer of FAZIOLI pianos and a sponsor of the Festival. Southwest Florida Music Teachers Association presents "Monster Concert"
L. Desyatnikov "Sketches to Sunset"
The Island Concert Association presents "One Piano Four Hands"
EuroPianos Naples presents "One Piano Four Hands"